Recently I've been working with a 3rd party diagramming library written in windows forms. It's been great and it's pretty fast in building 80% of the application I'm working on. Today I needed to control the enabled property of a button "Remove Item" on my form depending on weather there was a selected item in a Listbox. If you've created a new WPF project in VS2008 and then you try to design your UX in Expression Blend 3 you'll find that you get xaml view only. With .NET 1.1 when we receive a UTC DateTime in a SOAP response from a Webservice it used to get converted to Local time. With .NET 2.0 when we receive a UTC DateTime in a SOAP response it stays in UTC. I recently wrote a control that tries to replicate the error list seen in Visual studio. 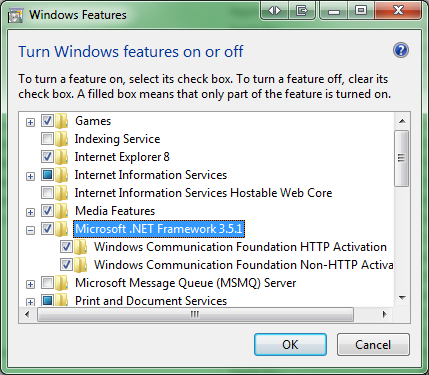 The control is dependant on .NET 3.5 SP1. because it uses the WPFToolkit. I've had a few people asking me how did I host Silverlight 3 in blog engine. Basically Silverlight3 needs an <object> tag. So I created a user control with the object tag and some script handling for client side errors (actually VS2010 did all the hard lifting). Add a Validated event handler to all child controls you're interested in. This will ensure the validation routine on all child controls will be called, if for example you've added an ErrorProvider control extender to your form you can set it up in the validated event handlers.